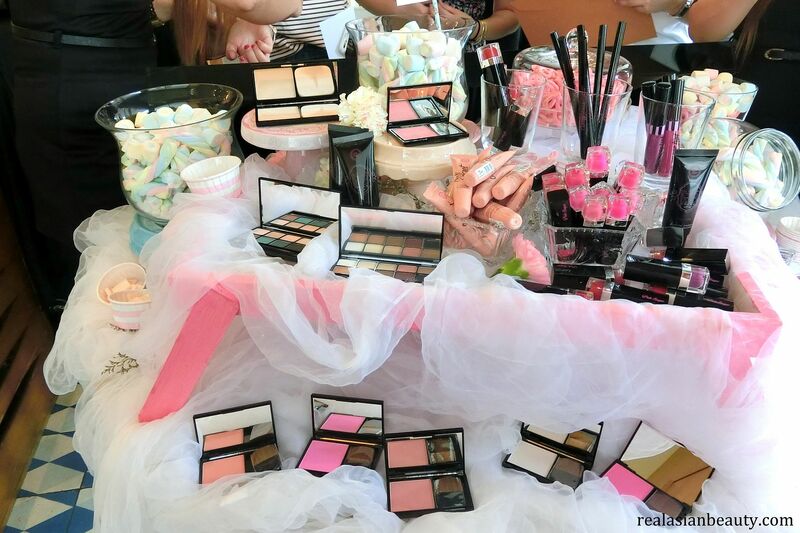 One of the events that I love going to are makeup events held at restaurants. I mean, makeup and food in one venue, how can we ever say no to that? 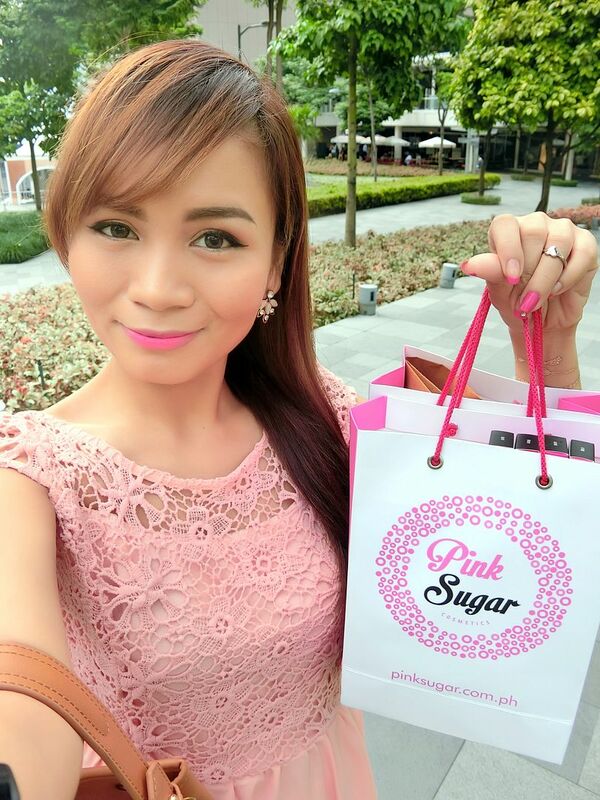 I was so happy I was invited to the Pink Sugar launch here in Manila! The brand's name sounds so cute, sweet and yummy, right? 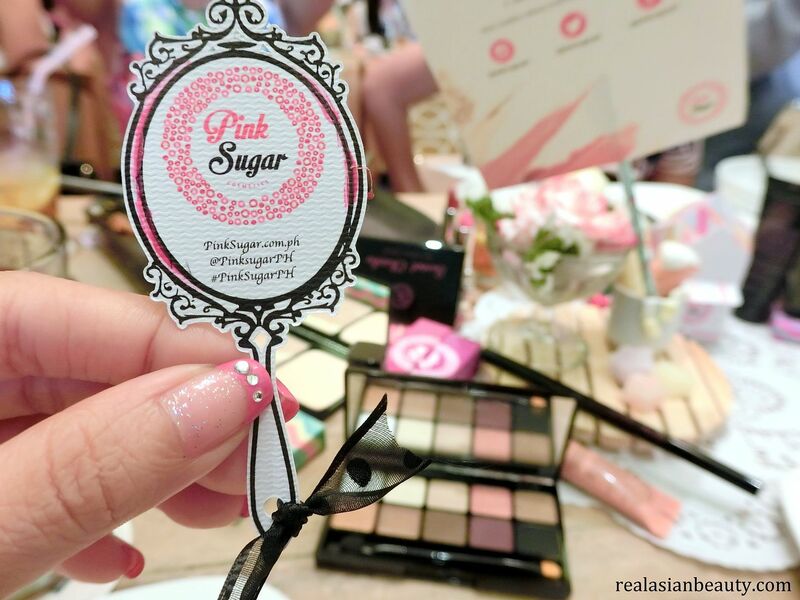 Pink Sugar is a homegrown make-up brand bound to take space on every Pinay's top shelf. It's a local label Filipina girls will be proud to have in their vanities - a product line that ranges from skin to color cosmetics, quality formulations suited for Filipina skin, and cool packaging that's fodder for any make-up junkie. 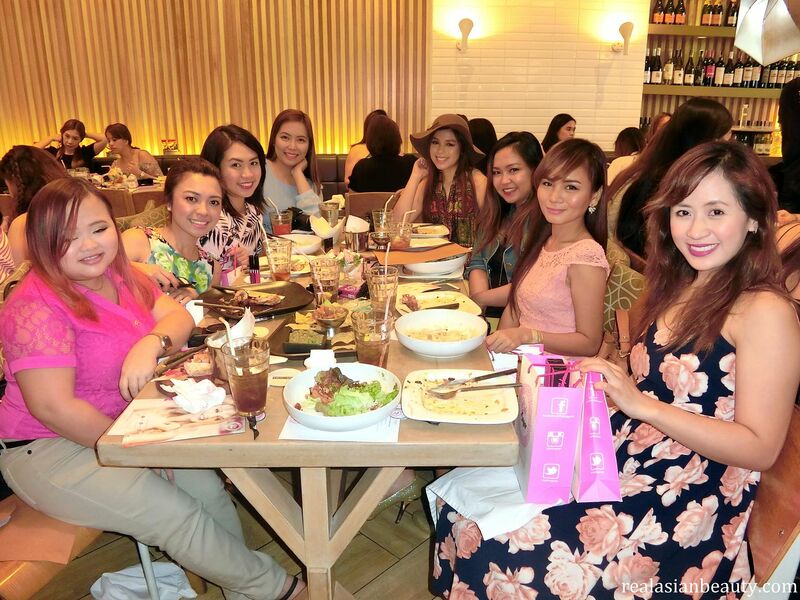 The Pink Sugar launch was held at Stella Woodfire Bistro in Bonifacio Global City. I was disappointed with Google Maps because it gave me a wrong direction going to the restaurant. It took me to 1st avenue while I was supposed to go to 7th avenue. Funny thing was that the other bloggers also believed Google maps and got lost, too! 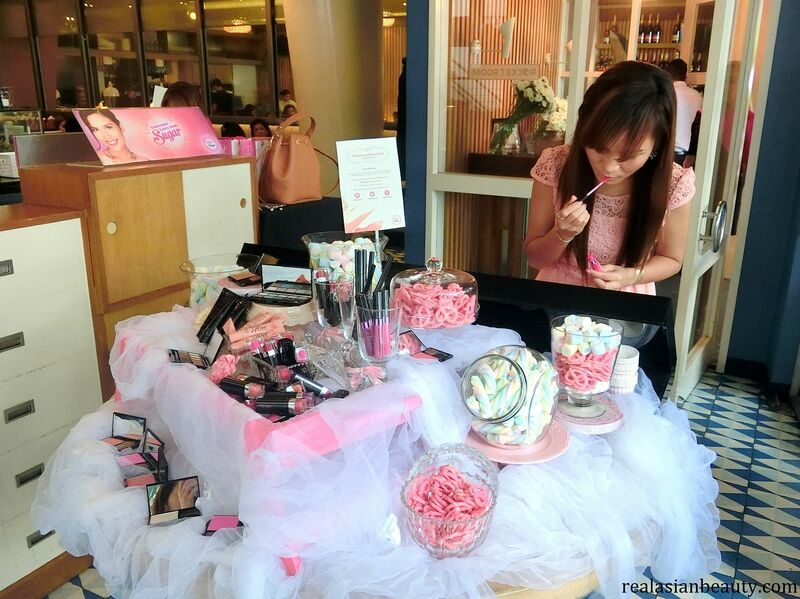 Anyway, when I got to the venue, I was welcomed by a table full of Pink Sugar cosmetics. 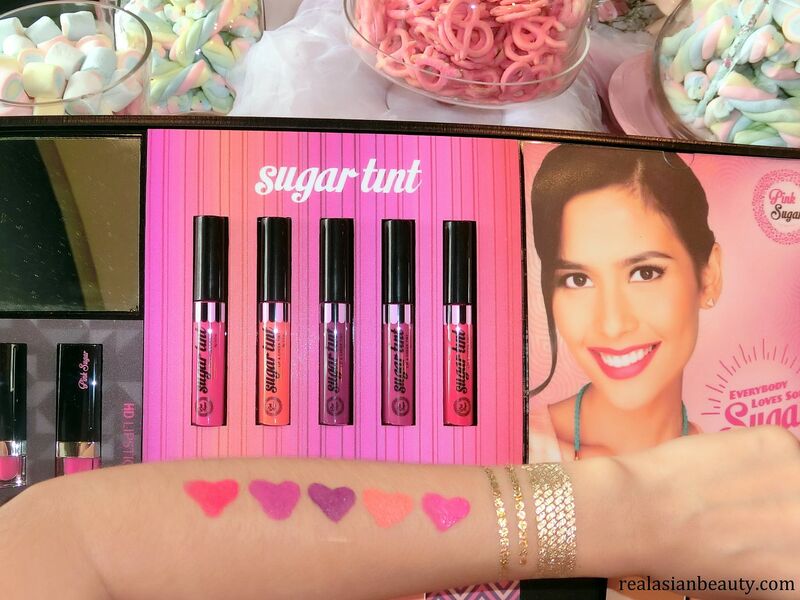 In the photo, I'm trying one of their most-loved products, the Sugar Tint Lip and Cheek Tint. It is so pigmented! 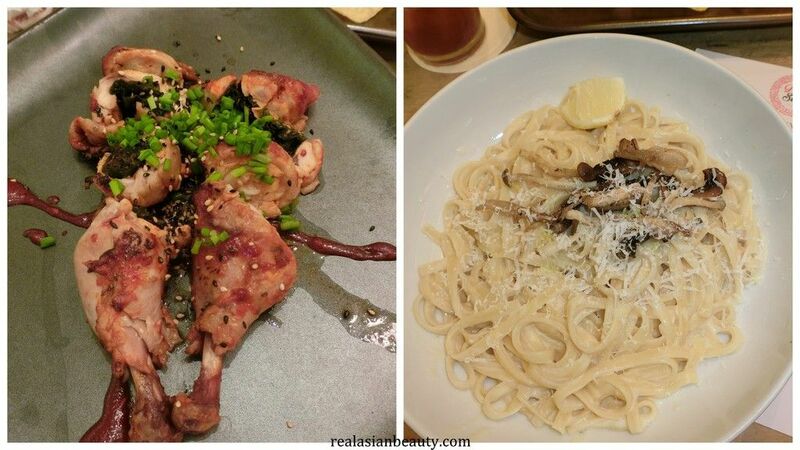 I also love how it dries to matte and stays on even after eating and drinking. Here are the complete 5 shades of the Pink Sugar Sugar Tint. One of the most popular shades among the bloggers present at the venue was the Purple Pleasure in the middle. We then proceeded to the other room to have the event proper. 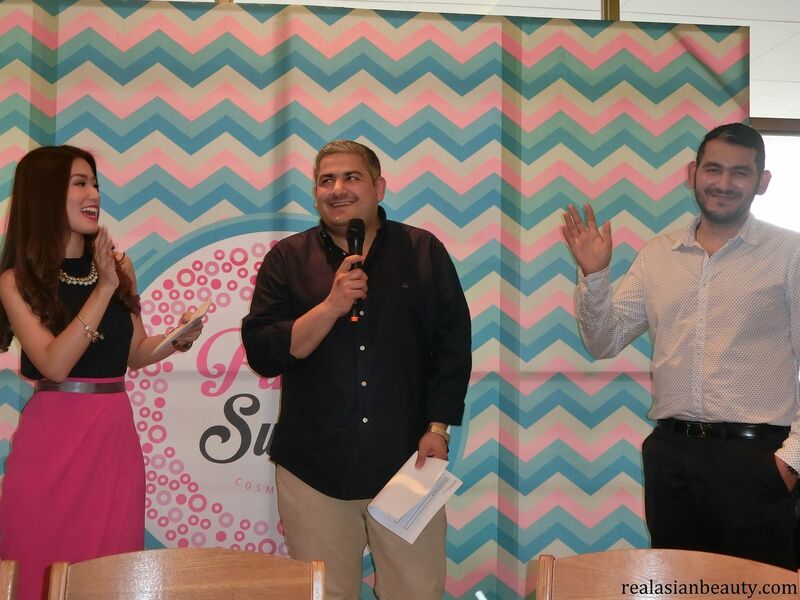 We were welcomed by the founders of the Pink Sugar cosmetics, Laveen Mirpuri and Rohit Mirpuri! Yes, they are men! I love the small details! On my napkin sat a cute paper mirror. My table mates that day, fellow YouTubers and Bloggers! Yay! Hello, pretty ladies! Not sure if you know but one of my collections are Pig stuff. 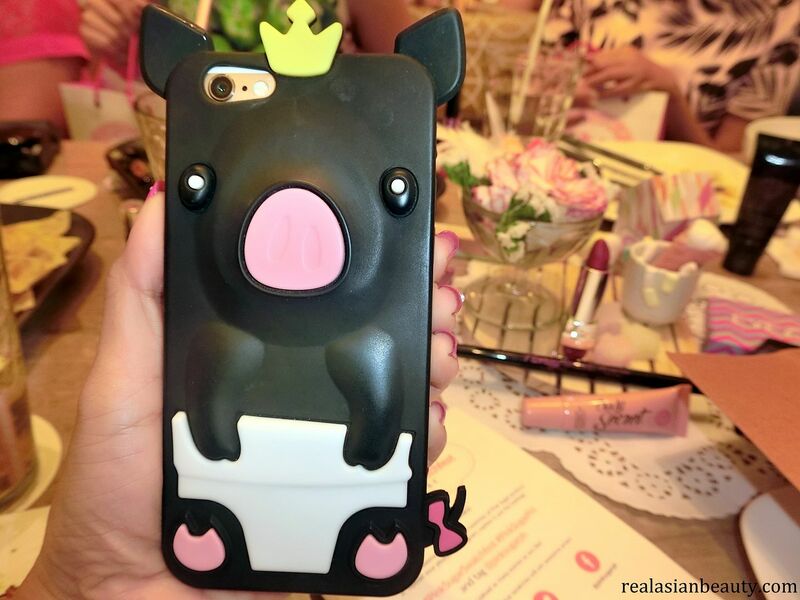 Take a look at Genzel's cute piggy phone case! It's a princess (or could be a prince) piggy! I want one in pink, please! Before going home, I went to the mall to buy some stuff. While looking at clothes, some sales attendant noticed my Pink Sugar paper bags. They were overwhelmed and asked me if I bought all the stuff in the bag. I told them that they were just given to me. They just said "WOW!". Truly, it's overwhelming! If only I had already taken photos and blogged the products, I would have given them some items. I never keep all of the items I get for free. I like sharing them! I believe that I am given these products not to be kept but to be shared. Too bad, I haven't taken photos yet. Anyway, here is everything that I got from Pink Sugar that day. 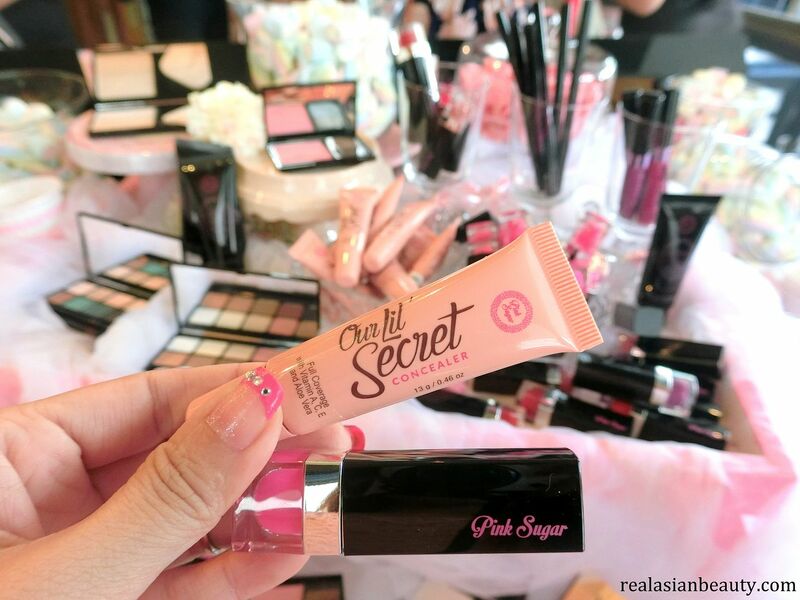 If you want your own Pink Sugar products, head over to your favorite SM and Watsons store now! It is also available at www.BeautyMNL.com starting October 18, 2015. For more information, follow Pink Sugar's Facebook account HERE.